Captain of the Black Stars, Asamoah Gyan, has hinted on collaborating with a number of Ghanaian artistes in the music industry. The Skipper, aside having great football skills is also known to be a music freak. He has over the years released a few songs and has also collaborated with some of Ghana’s top artistes. They performed the song for the first time on stage at the recently held Ghana Meets Naija concert. The musical concert which came off last Saturday at the Fantasy Dome in Accra saw lots of artistes perform. Gyan and Stonebowy were among the artistes for the night and they performed to the satisfaction of their fans. After the event, Gyan revealed in an interview that he is looking forward to releasing more songs, insisting music is his passion. According to him, he is look towards collaborating with a number of artistes to solidify his stay in the music industry. “We’ve got a lot of music coming up, and I have a single set to be released soon so Ghanaian should watch out,” he told Joy News. 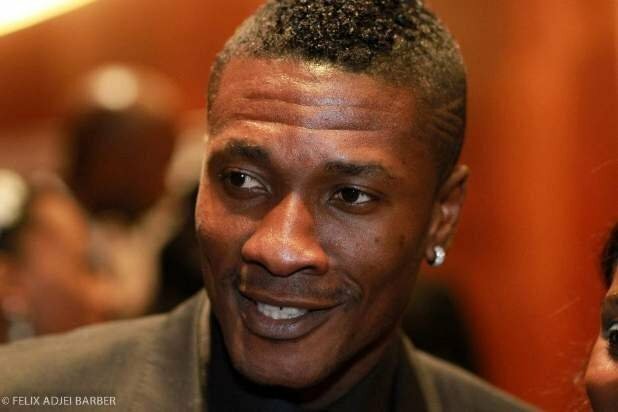 Gyan added that he looks forward to furthering his music career once he hangs his boots from football. He explained that music has always been fun for him. Adding that, he would want to continue with it even after his football life. The 32-year-old currently plays for Turkish Superlig side Kayserispor team which he joined last year.